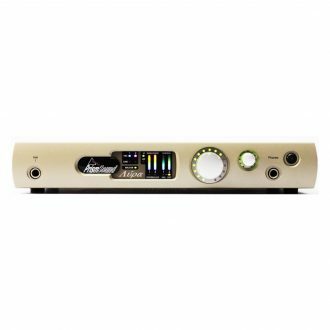 The Fireface UCX is a highly integrated pro audio solution in an ultra-compact format for studio and live recordings. It continues RME’s long tradition of designing compact high-end interfaces, packing into a half-rack size unit what usually would be spread out over two or three 19 inch panels. This marks a new packing record: 300 electronic components more than inside the already well-stocked UC! In a tremendous effort RME packed once again all the latest technologies, introduced with the award winning flagship UFX, plus a bunch of newly developed ones, into a half 19 inch housing with full mobile usability. The result is an awesome combination of RME’s most successful products: Fireface UFX, Firefaces UC/400 and Babyface. It’s is not just a smaller version of the smash hit UFX, with the HFX-core, the preamps and the complete effects engine. The UCX continues the tradition of RME’s tremendously successful compact interfaces, and combines it with the Babyface’s usability through the optional RME remotes. Two mic preamps with the premium technology from RME’s high-end recording bestsellers Micstasy and UFX, including the AutoSet overload protection. A newly developed Hammerfall audio core, supporting USB and FireWire with the maximum performance and ultra-low latency operation, combined with the legendary RME driver stability and maintenance, on both bus protocols. Monitoring Controller: combining the impressive flexibility of the TotalMix FX monitoring tool set and the optional RME Remote Control. 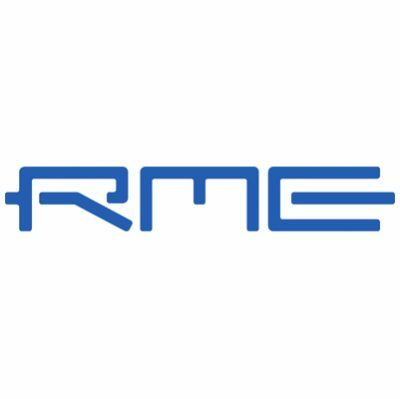 RME’s unique DIGICheck metering and analysis toolbox for Windows PC and Mac. Plus support for RME’s Advanced Remote Control, active jitter suppression technology, professional reference level support, advanced stand-alone functionality, full 192 kHz operation, and last but not least two high speed MIDI I/Os. On top of it: The Fireface UCX is the first professional audio interface with Class Compliant mode to work with Apple’s iPad, for perfect stereo up to 18 channel recording and playback, and the addition of truly professional I/Os. So the UCX is a half rack unit, which is actually more powerful, than most 19 inch units. All in all the Fireface UCX is the new compact-sized dream interface, created with care for every detail, and a new premium solution for any desktop and live usage, without compromises in sound, stability and ultra-low latency operation. The UCX provides 36 channels of audio – 18 I/Os. All channels can be used at the same time. Up to 8 analog and 10 digital channels can be recorded onto 18 separate tracks. All outputs can be used for ASIO Direct Monitoring purposes. On the rear: 4 balanced TRS. On the front: 2 XLR inputs with Mic/Line preamps (65 dB Gain) and 2 Hi-Z capable TRS Line/Instrument inputs..
On the rear: 6 balanced TRS outputs. On the front: One additional TRS stereo phones (playback channels 7/8). The high power phones output offers high volumes even with high-impedance headphones. 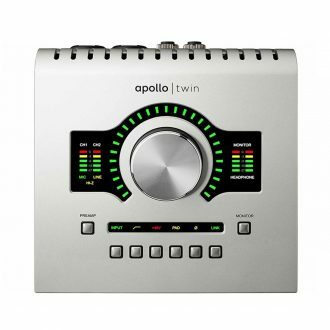 Equipped with a new 2011 A/D and D/A high-performance converter design all I/Os operate at up to 192 kHz. The AD/DA conversion supersedes the outstanding technical specifications of the Fireface UC/400 with an impressive 114 dBA dynamic range on both record and playback. The advanced multi-bit converter architecture guarantees excellent S/N and THD specs across a wide analog level range. In the best RME tradition and product philosophy, the UCX converters and preamps have no characteristic “sound” of their own. They neither add nor remove anything, but capture the original signal just as it is. Due to its efficient jitter reduction, RME’s superior SteadyClockTM finalizes the state-of-the-art AD/DA conversion, even when clocking to an external digital source. All analog I/Os use a low latency converter design with impressive 14 samples for the ADC, and 7 samples for the DAC, independent of the used sample rate. These values are about a quarter of the Fireface UC/400 (43/28), and even outperform much more expensive devices. A technical breakthrough that reduces the overall latency of timing critical applications, in live situations, and in computer-based recording studios. The converter latency is so low (0.4 ms at 48 kHz) that it can be ignored, turning analog digital monitoring into real analog-style monitoring! A great converter needs to support the common studio levels for the perfect adaptation to other analog equipment without loosing headroom. 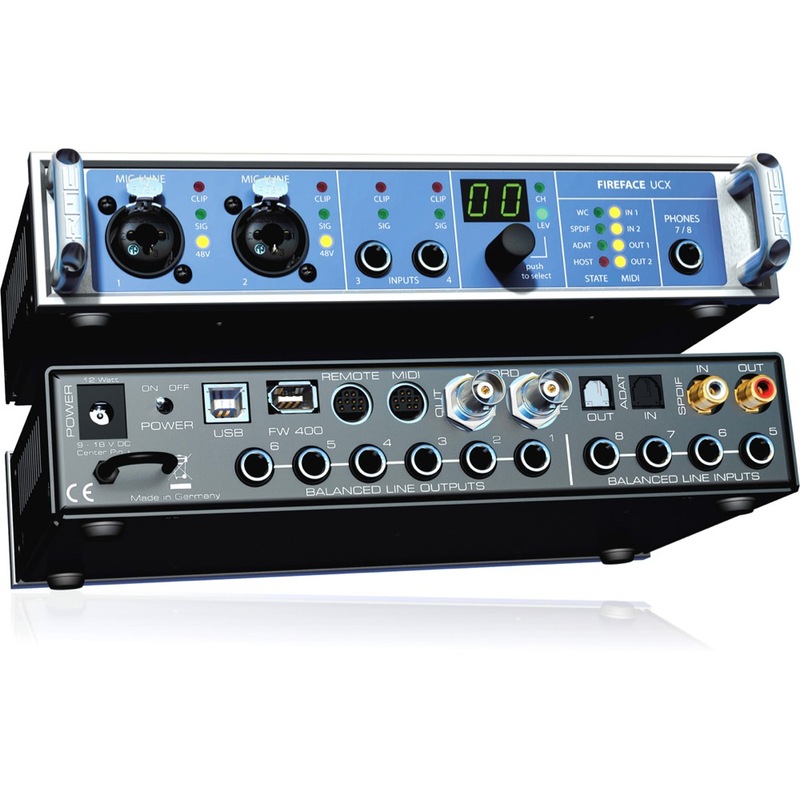 Like all other RME devices the UCX supports the common professional studio levels: -10 dBV, +4 dBu, Lo / HiGain. The software-controlled reference levels, realized discretely in the analog domain, ensure highest dynamic range and fidelity. – Inputs 3 to 8: -10 dBV, +4 dBu and Lo Gain (adjustable in two groups – channels 3/4 and 5 to 8). 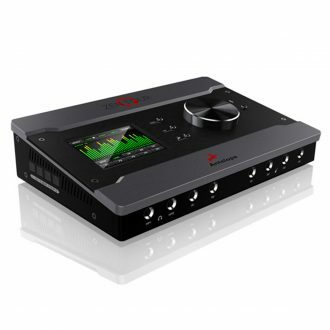 – Outputs 1 to 8: -10 dBV, +4 dBu and Hi Gain (adjustable in two groups – channels 1 to 6 and 7/8). All outputs can be used for ASIO Direct Monitoring purposes. The UCX provides two high-end mic and instrument preamps – built right into the front. Like the famous UFX ones, both preamps use core technology of RME’s Micstasy. A high-end preamp for supreme sonic demands and critical applications, like professional recordings of classical and acoustic music. The outstanding preamp design boasts extremely low distortion, excellent signal to noise ratio and a perfectly flat frequency response. A premium solution for transmitting and amplifying any audio source truly unchanged, be it high-level stage or typical studio signals, lower level and high-impedance instruments, or dynamic, condenser and ribbon microphones. 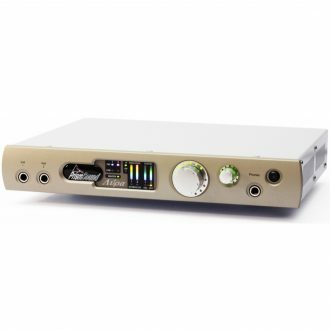 The digitally controlled gain of up to 65 dB, adjustable in steps of 1 dB over a range of 55 dB, is individually set for each preamp with the encoder knob on the front or in TotalMix FX on the host computer. All level settings are 100% reproducible and can also be adjusted using a MIDI remote controller. Each channel can be individually switched to 48V phantom power. LEDs for signal, clip and activated phantom power give a complete overview on the unit’s status. The two TRS inputs on the front will alternatively operate as Hi-Z inputs. Directly plug in up to two guitars or other instruments – no other hardware is required. The UCX offers a unique RME feature which was previously available only in the high-end microphone preamp Micstasy and the UFX. Usually a limiter is used during the recording to prevent clipping of the A/D converter stage. But analog processing would not only spoil the excellent technical specifications of the UCX mic preamps but also alter the original sound. 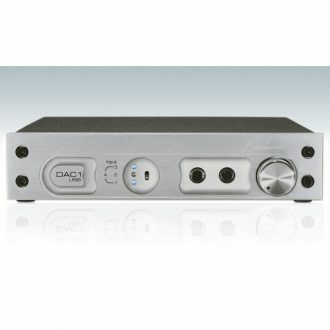 Thanks to digitally controlled gain the UCX can reduce the gain automatically, thus providing perfect protection from overload with no degradation of the audio signal, which does not have to pass any additional electronic circuitry. Additionally AutoSet does not cause any of the control noises known from usual limiters. SNR and THD stay completely unchanged. Example: In a recording session, the recording engineer asks the vocalist or guitarist to sing or play a reference part and sets the UCX preamp gain to an unusual high level (e. g. 50 dB). AutoSet will automatically reduce the gain when the level reaches -6 dBFS. The reduction is done in a musical way, based on the intensity and duration of the input signal. Manual gain adjustment becomes obsolete most of the time, but the gain can still be set manually. AutoSet can be switched on for each of the 4 front panel mic and instrument preamp channels individually. SPDIF: The UCX provides a coaxial SPDIF I/O working at up to 192 kHz. ADAT: One 8-channel ADAT I/O expands the UCX by 8 channels available simultaneously with the analog channels. They can be used to connect an 8-channel AD/DA converter, a mixing console, or to insert an effect device. 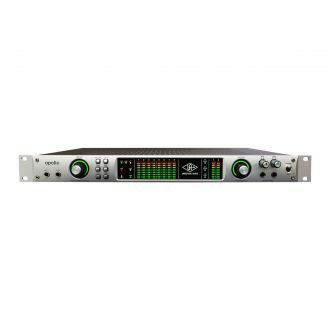 The ADAT I/O supports sample rates with up to 192 kHz (S/MUX4). Using an external converter like the ADI-8 QS, the UCX will provide 16 analog inputs and outputs, 12 with a sample rate of 96 kHz, and still 10 at 192 kHz. SPDIF: The ADAT I/O can be used as optical SPDIF I/O, making the UCX connections even more flexible. Word Clock & MIDI: A word clock input and output (BNC) with switchable termination plus two MIDI I/Os on a breakout cable complete the I/O list and turn the Fireface UCX into a professional audio system with universal usability. 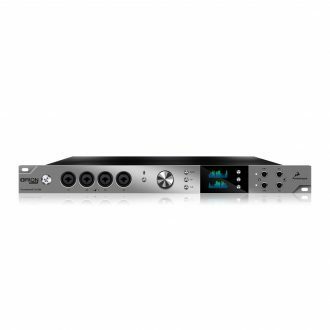 The Fireface UCX is the first fully professional audio interface with the option to be used as Class Compliant interface. The Class Compliant mode is a standard that is natively supported by operating systems like Windows, Mac OSX and Linux distributions. No proprietary drivers are required, the device will be directly recognized when the CC mode is activated by the button on the front panel. The Class Compliant mode allows for connecting the UCX to any Apple iPadTM! The iPad is not only an attractive mobile music creation and recording platform, but a closed hard- and software system without common driver problems and interferences from 3rd party hardware, like graphic or network cards. It provides stability, a good realtime performance and an easy handling. The UCX provides the iPad with the professional analog I/O connections it lacks. Superb microphone preamps with EQ, dynamics, even with the AutoSet feature, in addition to professional balanced line outputs, and a hi-power headphone output that also excels with high impedance headphones. Plus level and gain adjustments, SPDIF/ADAT I/O, reverb, echo, zero latency monitoring, digitally via USB, without any limitation in quality, at up to 96 kHz and 24 bit. The UCX adds another special feature: Instead of using the jitter-prone USB clock, it works with its own internal SteadyClock. Many USB audio devices extract clock for DA conversion from the USB data packets, running in slave mode (adaptive mode), with comparably high jitter values, especially since most won’t offer active jitter suppression. The UCX works in clock mode master (asynchronous mode), both during recording and playback, thus achieving the exact same sound quality with an iPad as under Windows and Mac OSX. Supported Inputs and Outputs . When connected to an iPad, the analog mic/line input 1 works with mono apps, inputs 1 and 2 with stereo apps (both dual mono and stereo), and up to 8 inputs with 8-channel applications, like MultiTrack DAW and Music Studio. Garage Band supports all inputs, but only two at a time. Auria can record all 18 inputs simultaneously. Playback will use analog outputs 1 and 2, or even more channels if the app supports such operation. The UCX can optionally copy the iPad playback channels 1/2 to outputs 7/8 and SPDIF/ADAT, for easier monitoring. All outputs can be processed independently (volume, EQ, dynamics, FX return). The UCX is also a very powerful tool in CC mode, and can even be pre-configured via TotalMix FX under Windows/Mac. Apart from the current configuration up to 6 previously saved configurations can be loaded from the setup memory, allowing for a quick reconfiguration without a connected host PC/Mac. The input signal will pass through all activated functions of the TotalMix FX input channel, namely settings, EQ, and Dynamics, and is then sent to the iPad. Like under Windows and Mac, the input fader controls direct monitoring to any output. The FX send control for echo/reverb is also active. The iPad’s output signal passes through all activated functions of the TotalMix FX hardware outputs, namely settings, EQ, and dynamics. The third row’s fader sets the output level. RME’s unique jitter suppression technology guarantees perfect sound quality throughout, making the device completely independent from the quality of external clock signals. Due to the highly efficient jitter reduction, the UCX converters operate independently from the quality of the external clock signal, as if they are working with internal clock all the time – guaranteeing a pristine sound quality! SteadyClock allows the Fireface UCX to control the sample rate freely on its own. The settings dialog includes a direct choice of the video and audio world’s most often used sample rates. Intelligent Clock Control not only displays every clock status, but will also retain the last valid input sample rate in case of failure of the external source. Other renowned RME technologies like SyncCheck offer a quick detection of clock problems. Stand Alone Operation with Setup Recall . Additionally internal memory allows for the permanent storage of six different states of the unit. Therefore the Fireface UCX is able to operate fully stand-alone, without any connected computer. In stand-alone operation it can transform into totally different devices by the simple click of a button. Furthermore, in this mode TotalMix FX can also be controlled via MIDI. Application examples include: 8-channel AD/DA converter, 4-channel mic preamp, monitor mixer, digital format converter, analog/digital routing matrix.